Today our Hidden Picture features former First Lady Rosalyn Carter. Along with her husband former President Jimmy Carter, the former first lady has been involved in several humanitarian causes since returning to Plains, Georgia in 1981. 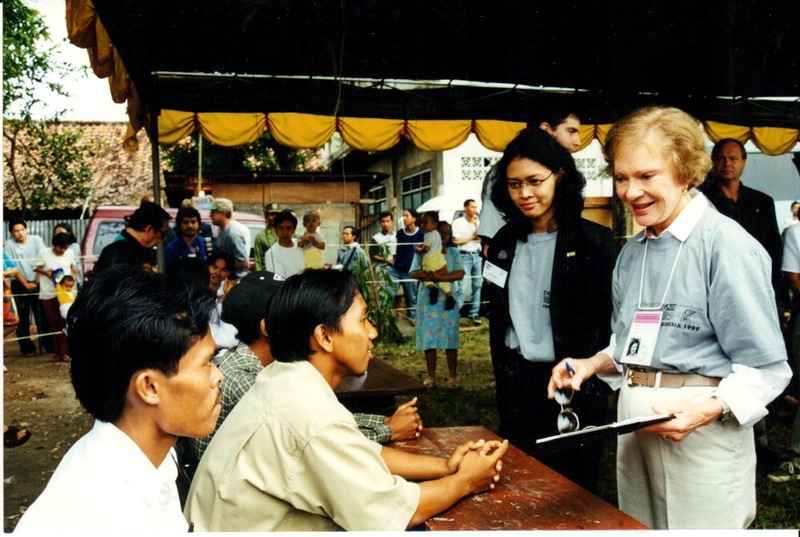 In this photo, on behalf of the Carter Center, the Carters were monitoring Indonesian election between June 5 and 9, 1999.